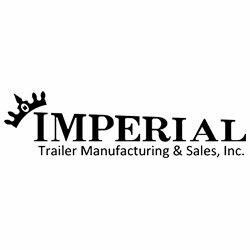 Imperial Trailers are a heavy duty, all steel trailer that has stood the test of time and extreme use. With loyal users all over the United States, this trailer is very popular with municipalities and contractors. Experienced, long term employees who have attention to detail and take pride in their work help make our trailers stand out above the rest. That coupled with high quality materials and heavy duty construction allow us to build unique and dependable products to meet just about any requirement. We have many standard models that will meet a variety of needs, but we also build complete custom products to meet specialized needs.